Djibouti, located where the Red Sea joins the Gulf of Aden and the Indian Ocean, at a crossroads linking Africa to the Middle East, and at the mouth of the Suez Canal, has always been a trading hub. The area of present-day Djibouti was once part of a series of ancient kingdoms with strong links to ancient Ethiopia and Egypt. Its proximity to the Arabian Peninsula meant Islam was adopted early. It was later colonised by France in the late 19th century, and the construction of railroads to Ethiopia meant it became an important regional port. It won independence as the Republic of Djibouti in 1977. The independent country’s first president remained in power until 1999. In the 1990s, the country experienced a civil war that ended in a power sharing agreement in 2000. Since 2000, there have been periodic episodes of civil unrest and a number of contested elections, but overall Djibouti is perceived internationally as having being relatively politically stable. This, combined with Djibouti’s strategic location, have led to it being the site of a number of military bases for foreign personnel, as well as continuing to have regionally important ports, which bring in the majority of national revenue. It is a hub for international naval forces combating piracy in one of the world's busiest shipping routes. Foreign relations are therefore very important to the country’s economic stability. The Djibouti franc is pegged to the USD. The economy is dominated by the service sector, which accounts for 80% of GDP, with commercial activities focused on the country’s free trade policies and transport links. Industry, including fishing and fish processing, and growing salt production, accounts for around 17% of GDP. The desert environment limits agricultural production, which accounts for only 3% of GDP. Rural people traditionally relied on nomadic pastoralism, but rural populations are now small: three quarters of Djibouti's inhabitants live in cities. Its limited natural resources mean that Djibouti relies heavily on energy and food imports. Despite the importance of services to the economy, there is very high unemployment. Nevertheless, relative political stability also means that the country has become an important country of passage for refugees, asylum seekers and economic migrants from surrounding countries. Djibouti is an arid country with low and erratic rainfall, and limited surface water resources, and it relies almost entirely on groundwater for drinking water and irrigation. Increases in water demand have led to intensive exploitation of groundwater from the mainly volcanic aquifers across the country, with consequent falling groundwater levels and groundwater quality deterioration in many areas. Periodic droughts in recent years, with reduced recharge, have put even more pressure on groundwater resources. Djibouti's climate is of tropical dry type, with a cool season (22-30 °C) from October to April and a warm season (30-40 °C) from May to September. Average annual evapotranspiration is estimated at 2,000 mm. Average annual rainfall is no higher than 150 mm, and is erratic. Djibouti has no perennial rivers. The hydrographic system is divided into two zones, one draining towards the Red Sea or the Gulf of Aden, the other towards the western plains of the country. Rainfall is low and erratic, usually occurring as heavy storm events that often cause flooding. Ephemeral rivers flow after rainfall events. There are two significant hypersaline lakes that are the focal points for internal drainage basins - Lake Assal in central Djibouti and Lake Abhe in the southwest on the border with Ethiopia. Lake Assal is 174 m below sea level (Schlüter 2006). The geology map shows a simplified version of the geology at a national scale. More information is available in the report UN (1989) (see References section, below). Most of Djibouti is composed of Quaternary and Tertiary volcanic rocks. Along the coast are coral reef and other coastal and alluvial sediments of Quaternary age; and Quaternary alluvial sediments of various thicknesses are is widespread in wadis. Structurally, the country forms a triangular depression caused by the general tectonic trends of the Great Rift Valleys of East Africa. These run N-S and NW-SE and have created a complex fragmented relief, composed of high blocks and subsidence zones, in which there are sometimes lakes (Schlüter 2006). Quaternary Coral reef formations along the coast. Also also the coastal plain are alluvial and lacustrine (lake) sediments of varied facies, including silts, clays and diatomites, which are often thick and extensive. The dominantly sedimentary deposits are sometimes intercalated with volcanic formations (Ahmed et al. 2018). Inland, alluvial and lacustrine sediments have been deposited in valleys, often with fine grained (silts, clays) alternating with coarser grained (sands, gravels) sediments (UN 1989). Quaternary (Pleistocene) Mainly basaltic lavas, subordinate ignimbrites and rhyolites (Schlüter 2006). Formations include the Gulf and stratiform basalts and stratiform rhyolites, aged 1.5 to 3.4 million years. These cover 60 to 70% of the country (UN 1989). Intrusive dykes linked to the major tectonic trends are seen throughout the volcanic units. Tertiary Mainly silicic massifs, lava flows and domes, and ignimbrites (Schlüter 2006). Formations include the Dalha and Somali basalts (age 3.4 to 9 million years), the Mabla rhyolites (age 15 million years) and Adolei basalts (age 25 million years) (Jalludin and Razack 2004). Intrusive dykes linked to the major tectonic trends are seen throughout the volcanic units. Sedimentary rocks (clays and alluvium) are interbedded with volcanic rocks in some places, such as in the Dalha basalts. Some tectonic basins were infilled with marine limestones, clays and diatomites during the opening of the Gulf of Tadjourah, and/or with alluvium transported by several important wadis. The thickness of the sedimentary rocks in these basins can exceed several hundreds of meters. In coastal areas, Pliocene conglomerates and alluvium were deposited over volcanic rocks (Jalludin and Razack 2004). Jurassic-Cretaceous A small outcrop area of continental conglomerates and sandstones of the Amba Aradam Sandstones. A more detailed overview of the hydrogeology of the main aquifers in Djibouti is in Jalludin and Razack (2004). There are two main aquifer types in Djibouti: volcanic rock aquifers at local and regional scales; and unconsolidated sedimentary aquifers, including shallow wadi alluvium and alluvial plain aquifers (Jalludin and Razack 2004). Consolidated sedimentary Jurassic-Cretaceous sandstones are also found, but are still poorly exploited (Jalludin and Razack 2004). The high evapotranspiration combined with intermittent and usually heavy rainfall rainfall events mean that a very low proportion of rainfall infiltrates directly as groundwater recharge. However, indirect recharge infiltrating from ephemeral river flows in wadis is an important recharge source. Groundwater levels fluctuate naturally on a seasonal basis, with many shallow wells drying up during the dry season. Extended droughts cause longer term declines in groundwater levels. Wadi (valley) alluvium aquifers Generally High to Very High (but Variable) Alluvial sediments deposited along the main wadis, forming narrow, elongate aquifers that vary from tens to several hundreds of metres in width and from a few meters to a few tens of meters in thickness (Jalludin and Razack 2004). Usually unconfined. Jalludin and Razack (2004) quote summary statistics of transmissivity values from 38 constant rate pumping tests from unconsolidated sedimentary aquifers, although it is not known whether these are wadi or alluvial plain aquifers: the transmissivity values ranged from 38 to 14,150 m2/day, with an average of 1490 m2/day. Alluvial plain aquifers Generally High to Very High (but Variable) Alluvial plain aquifers, including coastal and inland basin aquifers, cover some 22 % of the country. The extent of individual aquifers varies between 40 km2 and 1,500 km2, and the thickness of the alluvial sediments varies between 40 m and more than 300 m. Jalludin and Razack (2004) quote summary statistics of transmissivity values from 38 constant rate pumping tests from unconsolidated sedimentary aquifers, although it is not known whether these are wadi or alluvial plain aquifers: the transmissivity values ranged from 38 to 14,150 m2/day, with an average of 1490 m2/day. Groundwater quality is generally poor, with 1 g/l to more than 2 g/l of total mineralisation (Jalludin and Razack 2004). Regional scale stratiform volcanic aquifers - Quaternary Gulf and stratiform basalts; stratiform rhyolites Generally High to Very High (but Variable) The stratiform basalt series covers an area of about 9000 km2 in the southwestern and northwestern regions of the country, extending into Ethiopia, and can reach 1300 m thick. Groundwater flow is dominantly through fractures. Transmissivity values from 26 constant rate pumping tests ranged from 13 to 27,100 m2/day, with an average of 5350 m2/day; the average storage coefficient was 2 × 10−5 (Jalludin and Razack 2004). Based on only 3 constant rate pumping tests, stratiform rhyolites show higher transmissivity values, from 4660 to 46,600 m2/day (Jalludin and Razack 2004). The intrusive dykes seen throughout the volcanic sequences appear to be characterised by low to very low transmissivity, and act to increase the heterogeneity of the volcanic aquifers (Jalludin and Razack 2004). 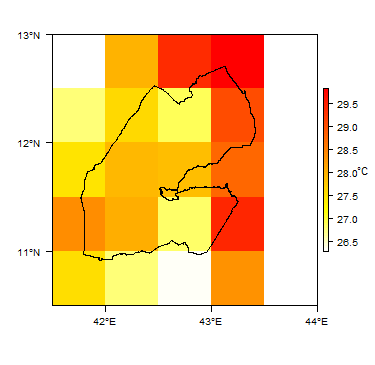 Groundwater in the Gulf basalt aquifer in Djibouti city has been shown to have a near-neutral to alkaline pH (~7.1 to 8.5) and to be quite highly mineralised, with conductivity values (SEC or specific electrical conductivity) of ~900 to 9500 mS/cm, and a mean of ~5360 mS/cm. The high conductivity is strongly influenced by high chloride concentrations, which are likely to be strongly related to seawater intrusion, but may also reflect local brackish water. Bicarbonate concentrations range from 61 to 244 mg/l with an average of 159 mg/l (Ahmed et al 2017). Local scale volcanic aquifers, with minor interbedded volcaniclastic, alluvial sands, silts and clays, sometimes calcareous - Tertiary Dalha and Somali basalts; Mabla rhyolites; Adolei basalts Generally Moderate to Very High (but Variable) Volcanic aquifers of limited extent (area <2000 km2), including basalt traps (series of individual lava flows several metres thick, which in total can reach >200 m thick) (Jalludin and Razack 2004). Groundwater flow is dominantly through fractures. The effects of weathering and of hydrothermal activities tend to decrease transmissivity, whereas effects of tectonics increase transmissivity. The oldest Adolei basalts tend to be more weathered, with clay development, and have more hydrothermal silica and calcite deposition in voids, both of which tend to reduce permeability. 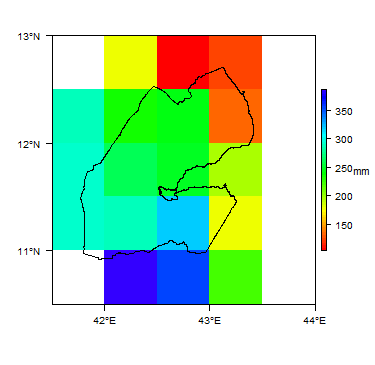 Ranges in transmissivity values from constant rate pumping tests for different formations are given by Jalludin and Razack (2004): Dalha basalt aquifers (21 tests) 43 to 3110 m2/day; Somali basalt aquifers (8 tests) 86 to 18,900 m2/day; Mabla rhyolites (5 tests) 740 to 10,700 m2/day; Adolei basalt aquifers (4 tests) 21 to 780 m2/day. The average storage coefficent for Dalha and Somali basalts was 1.3 × 10−3 (Jalludin and Razack 2004). The often eroded dykes seen throughout the volcanic series appear to be characterised by low to very low transmissivity, and act to increase the heterogeneity of the volcanic aquifers (Jalludin and Razack 2004). Recharge occurs mainly by localised infiltration of surface water wadi flow through overlying wadi during irregular rainfall events alluvium. 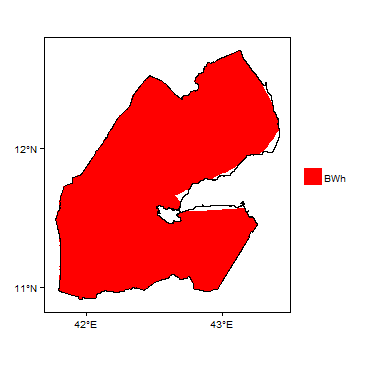 Groundwater from the Dalha basalt aquifer in Djibouti city has been shown to have have a near-neutral to slightly alkaline pH (~7.3 to 7.8) and to be relatively weakly mineralised, with conductivity (SEC) values from ~900 to 1600 mS/cm and a mean of 1200 mS/cm. Bicarbonate concentrations range from 122 to 358 mg/l with an average of 262 mg/l (Ahmed et al 2017). Over-abstraction from these aquifers has lowered piezometric levels, which in the coastal zone has caused seawater intrusion and increasing salinity (Jalludin and Razack 2004). Jurassic-Cretaceous sandstones Probably Moderate to High These rocks have only a small outcrop in the southeast of the country, and little is known of their aquifer properties. Jalludin and Razack (2004) quote a single transmissivity value from a constant rate pumping test of 1800 m2/day. Over-abstraction of groundwater is a recognised problem in a number of different parts of Djibouti. The estimated level of over-abstraction in 2005 was 15 million m3/year (FAO AQUASTAT 2005). Wadi alluvial aquifers, which are used extensively for rural water domestic, irrigation and livestock supplies, are often over-exploited. Groundwater salinity is widely high: in 2005, more than half of Djibouti's boreholes were recorded as showing salinity of more than 900 mg/l, and sometimes up to 1,200 mg/l. At this time, only groundwater in the northwest of the country was recorded as having ionic levels below the standards of use for irrigation. High levels of boron are the most common (FAO AQUASTAT 2005). Where groundwater is used for agriculture, high evapotranspiration rates and mineralised irrigation returns have contributed to rising salinity, both in shallow alluvial and deeper volcanic rock aquifers. In coastal zones, salinity is exacerbated by over-abstraction that draws down water levels and induces sea water intrusion (Ahmed et al 2018). Rapid urbanisation with a lack of adequate sanitation is contributing to groundwater quality degradation in urban areas (Ahmed et al 2017). Nitrate concentrations are high in many areas, in both alluvial and volcanic aquifers. Much of this is likely to be natural, reflecting evaporative and biochemical controls in arid conditions, but some is likely to be due to local contamination by livestock or human waste (Awaleh et al 2017). Groundwater is the main source of water in the country, both urban and rural, for domestic, agricultural and industrial use. Most irrigation using groundwater is small scale, because there are few locations with high yielding aquifers. Most farmers use small volumes of groundwater from shallow hand dug wells or boreholes in alluvium in wadis, where the shallow alluvial aquifer is recharged periodically by ephemeral river flows after rainfall events. Wadi alluvial aquifers are used extensively for rural water domestic, irrigation and livestock supplies. Jalludin and Razack (2004) reported more than 700 rural shallow (hand dug) wells and a few tubular wells abstracting from this aquifer, mainly in agricultural areas, for domestic, irrigation and livestock use, with an estimated cumulative abstraction of around 4.2 million cubic metres per year. Alluvial plain aquifers are used for larger rural and some urban water supplies. Jalludin and Razack (2004) reported about 20 wells were used to supply 1 million cubic metres per year to rural areas and Tadjourah and Obock towns. Local volcanic aquifers are the most intensively exploited aquifers, with a total estimated abstraction in 2004 of 15.9 million cubic metres per year. The most intensively exploited supplies Djibouti city, which in 2004 used about 35,600 cubic metres per day (Jalludin and Razack 2004). the Ministry of Agriculture, Livestock and the Sea (MAEM), which among its other mandates is responsible for water resources studies and exploitation. The Water Directorate, part of the MAEM, which was created in 2001 with responsibility for water resources services. The Water Directorate has national and regional sub-divisions. The National Water Board of Djibouti (ONED), which manages hydraulic works for water supplies in the main urban areas, under the supervision of the MAEM. The National Water Resources Council (NECC) was established in 1989, responsible for coordinating and planning all actions in this area as part of a water master plan. The National Fund for Water (FNE) was created in 2001 to provide funding for the maintenance of rural water supply pumping stations, the meteorological network, drought relief and the creation of urban water supplies. The Centre for Research and Studies of Djibouti (CERD) is responsible for scientific research relating to the management of drinking water and the exploration of new water resources. Key water legislation includes a Water Code (1996) and a Water Master Plan, adopted in 2000. In 1993, an inventory of water points was drawn up. In 2000, there were 600 (partially functional) water points and 56 rural pumping stations throughout the country - see the table, below (FAO AQUASTAT 2005). 1 A guelta is a pocket of water that forms in drainage canals or wadis. For general information about transboundary aquifers, please see the Transboundary aquifers resources page. 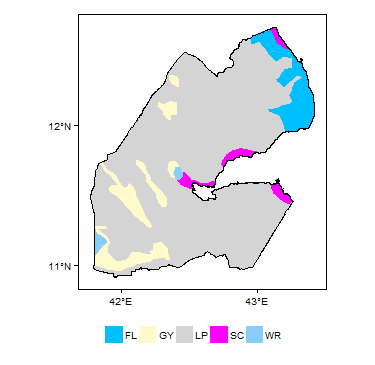 Other references with information on the geology and hydrogeology of Djibouti may be accessible through the Africa Groundwater Literature Archive. AQUATER-ISERST. 1986. Préfactibilité géothermique de la plaine de Hanlé-Gaggadé [Geothermic feasibility study of the plain of Hanlé-Gaggadé]. Report. BGR. 1999. Résultats de la campagne des forages de reconnaissance effectuée dans la plaine de Hanlé [Results of the drilling campaign carried out in the plain of Hanlé]. Projet n°: 95.2050.3. Bundesanstalt für GeowissenSchaften und Rohstoffe, Hannover, Germany, 101 pp. Bundesanstalt für Geowissenschaften und Rohstoffe. 1982. Inventory and development of the water resources of the Republic of Djibouti. Report prepared by W. Müller, for project No. 78.2233.1, German Hydrogeological Cooperation. Hanover, Germany. FAO AQUASTAT. 2005. Djibouti. FAO AQUASTAT. Jalludin M and Razack M. 1994. Analysis of pumping tests in fractured basalts with regards to tectonics, hydrothermal effects and weathering, Republic of Djibouti. Journal of Hydrology, 155, 237-250. doi 10.1016/0022-1694(94)90167-8. Jalludin M and Razack M. 2004. 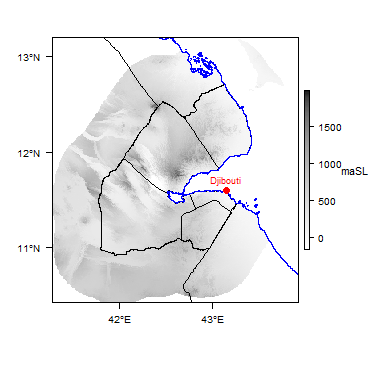 Assessment of hydraulic properties of sedimentary and volcanic aquifer systems under arid conditions in the Republic of Djibouti (Horn of Africa). Hydrogeology Journal, 12, 159-170. doi 10.1007/s10040-003-0312-2. JICA. 2014. The Republic of Djibouti: the Master Plan Study for sustainable irrigation and farming in southern Djibouti. Final Report. JICA, December 2014. Muller, W. 1982. The water resources of the Republic of Djibouti, possibilities and limits of regional development. United Nations. 1989. 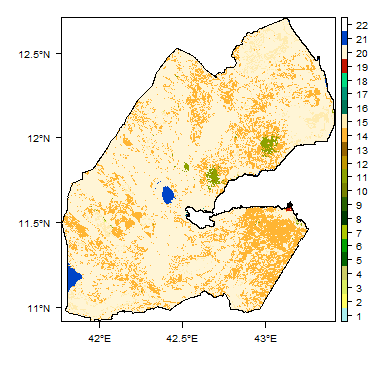 Groundwater in Eastern, Central and Southern Africa: Djibouti. United Nations Department of Technical Cooperation for Development.